With infrared being a relatively new form of technology, it’s only natural that some misconceptions have sprung up since its introduction. Here the team at Mirrorstone delves into some of these myths to discover if there’s any truth behind them. Infrared is the oldest and most natural type of heat that exists. It’s actually the same type of heat that the sun emits, but without any of the harmful Ultra Violet (UV) rays. Infrared heat is actually a lot healthier than traditionally used convectional heat, as it eliminates the mould and mildew growth that can exacerbate respiratory problems. 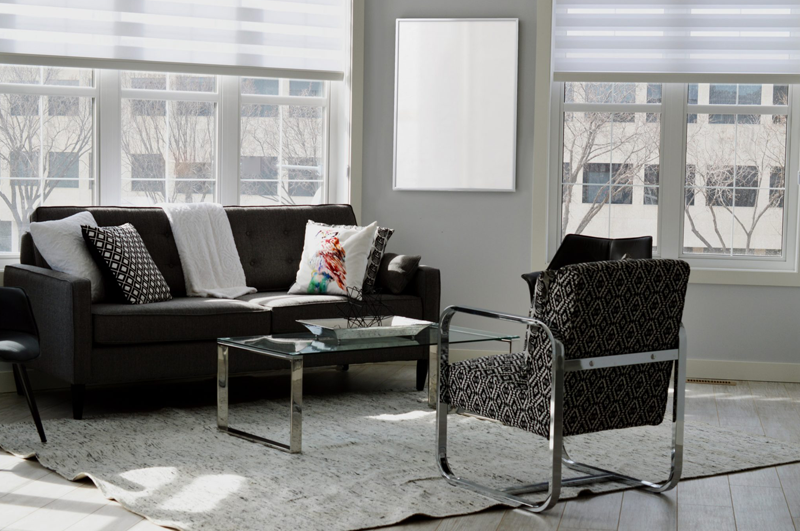 Like traditional convection heaters, infrared panels become quite hot when they’re in use. However, unlike the majority of conventional radiators that can only be installed at floor level, infrared panels can be installed high up on walls, effectively placing them out of reach of inquisitive hands. IR panels can also be installed completely out of the way on a ceiling. No specialist knowledge or expertise is required to install an IR heating panel. Indeed, anyone with a spirit level, a drill and half an hour to spare will be able to fit one, plug it in and sit back to enjoy the immediate warmth it produces. While infrared heat is similar to that generated by the sun, it’s actually the sun’s UV component that causes us to tan and not infrared. Infrared heat actually stimulates the circulatory system and eases muscle pain, which is why many yoga studios now employ it, while health facilities in Germany and Austria have been using IR heaters for years. 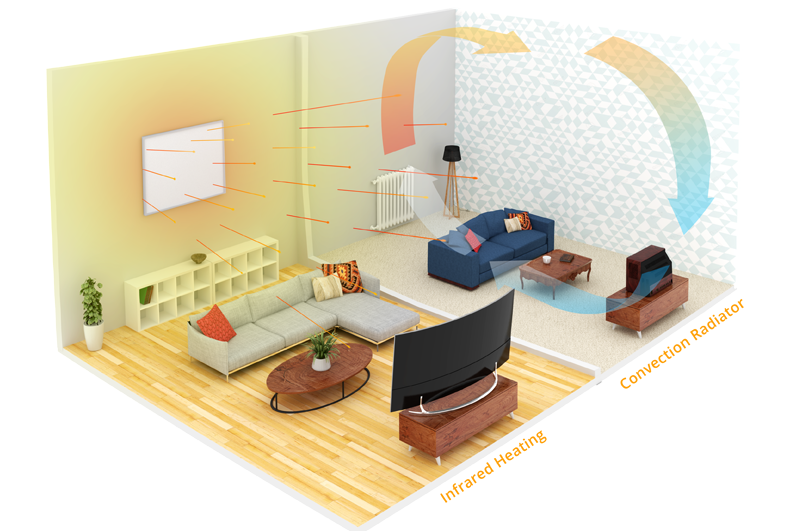 Infrared heating panels are very simply constructed, containing only a few components. One of these is an incredibly effective layer of insulation to the rear of the panel that protects walls and ceilings from the heat it generates. In fact, not only does the insulation layer protect surfaces, it also propels the IR energy outward from the front of the panel, causing it to heat the room more effectively. Containing only around five components and none that move, there really is very little that can go wrong with an IR panel. As such, they last for around 30 years and require no maintenance other than an occasional wipe with a soft cloth to remove any dust. CE and RoHS compliant, Mirrorstone’s IR heating panels come complete with a five-year manufacturer’s replacement warranty to give users added confidence.